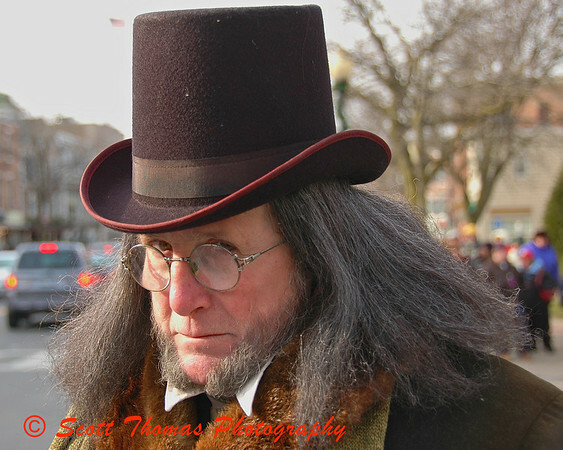 Ebenezer Scrooge, brought to life by actor Robert Krigbaum, gives me his “humbug” look during the 15th Annual Dickens’ Christmas in Skaneateles. I spent last Saturday in one of my favorite Christmas stories, Charles Dickens’ A Christmas Carol. 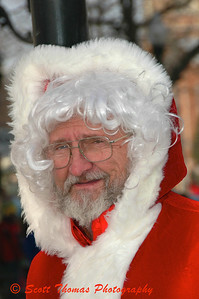 For the last 15 years, the Village of Skaneateles, New York, has hosted a Dickens Christmas on weekends between Thanksgiving and Christmas. 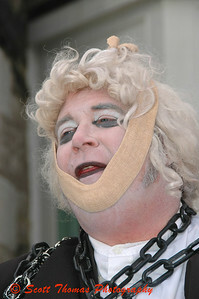 The troop of actors portrays many of the most famous characters and perform scenes from Dickens’ classic tale. Meet more of the characters I had the pleasure of encountering. 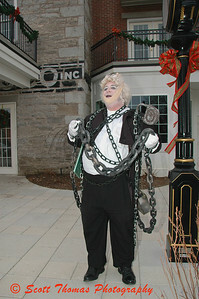 Jacob Marley lamented about why he was wearing his chains and then broke out in Christmas songs. He had a great voice. 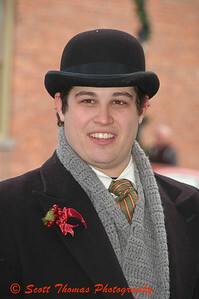 I ran into Father Christmas and Scrooge’s nephew, Fred. 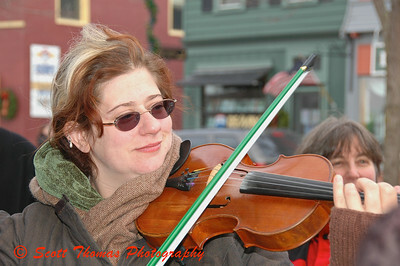 The fiddle player provided the music for the Christmas Present dancing scene. Lastly, the Christmas Ghost who haunted Scrooge all day. 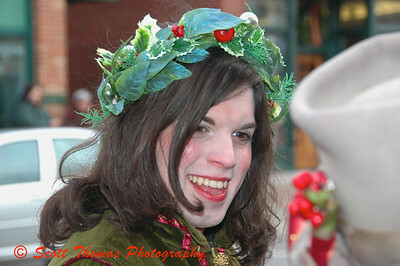 This entry was posted in People, Weekly View and tagged carol, charles dickens, christmas, new york, Photography, shopping, skaneateles. Bookmark the permalink. 6 Responses to View 50: Scrooged! Very nice captures, I was under dressed for the wind and only stayed about 30 minutes. I missed most of the show, maybe later in the season I’ll get back. What marvelous fun! That was a totally northern festival and I miss those kinds of activities. Thanks for letting me enjoy those beloved characters though your photos. Only two more views of 2008 to go! I hope you have blogging plans for 2009.